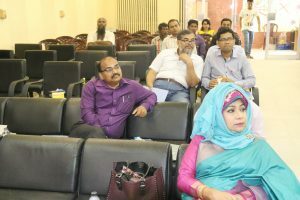 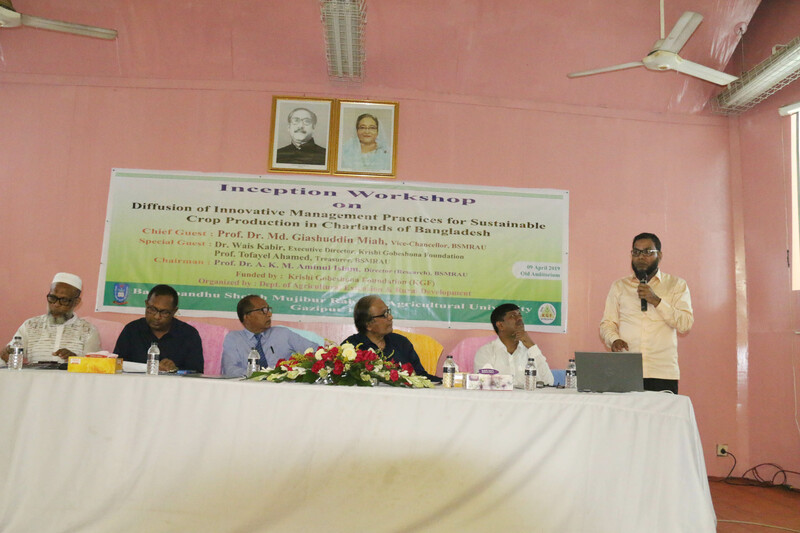 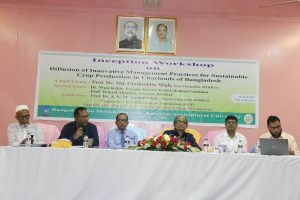 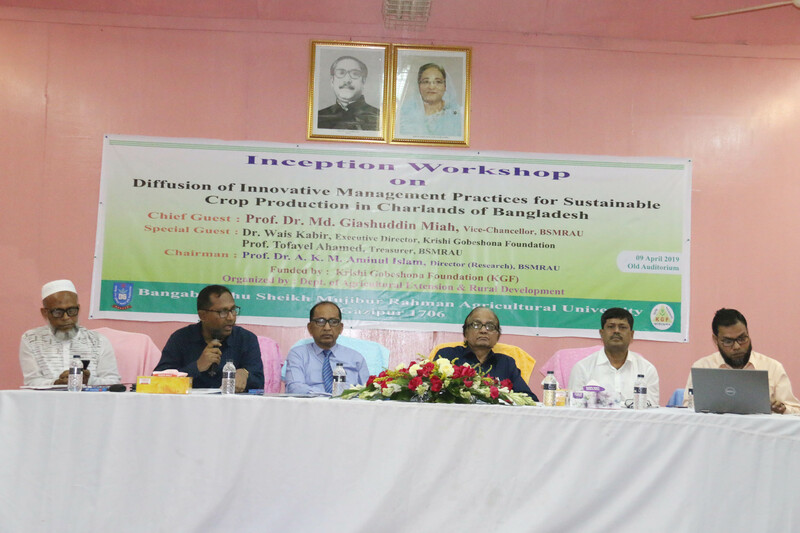 A day-long workshop on “Inception workshop on diffusion of innovative management practicefor sustainable crop production in Charlands of Bangladesh” held today (9 April’19) at the Bangabandhu Sheikh Mujibur Rahman Agricultural University(BSMRAU) auditorium.Prof. Dr. Md. 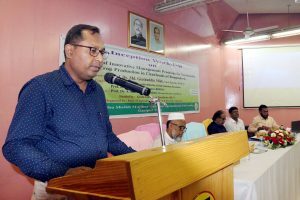 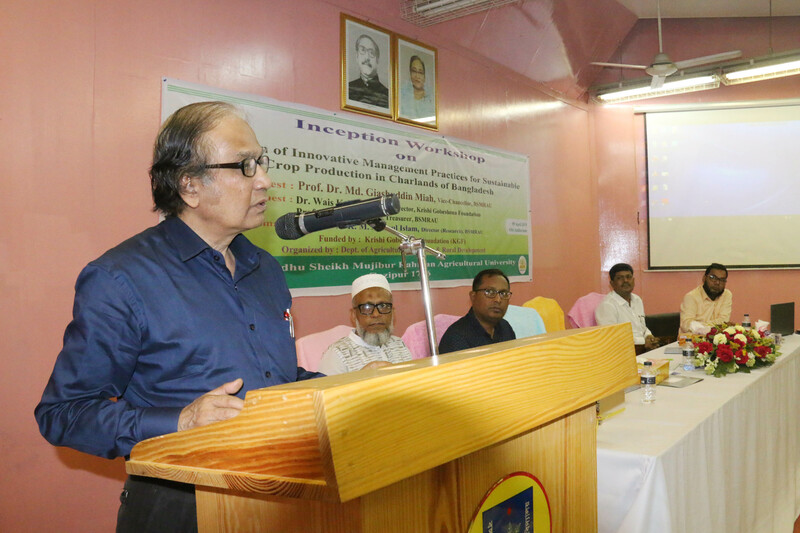 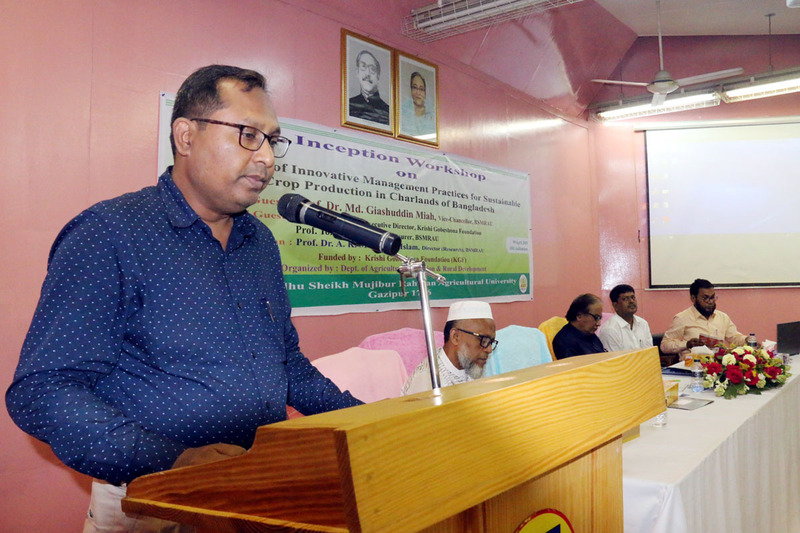 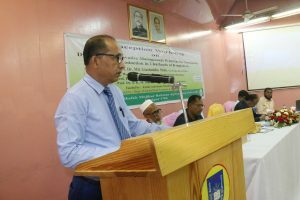 Giashuddin Miah, Vice-Chancellor of Bangabandhu Sheikh Mujibur Rahman Agricultural Universityinaugurated the workshop as the chief guest. 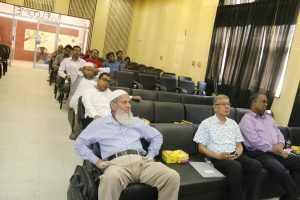 Prof. Dr. WaisKabir, Executive Director of KrishiGobeshona Foundation (KGF) and Treasurer of the university Prof. TofayelAhamed were delivered their speech as special guests. 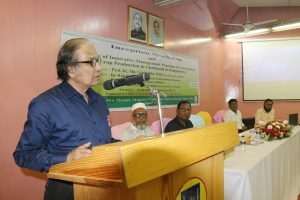 The function was presided over by Prof. Dr. A. K. M. Aminul Islam, Director (Research) of BSMRAU. 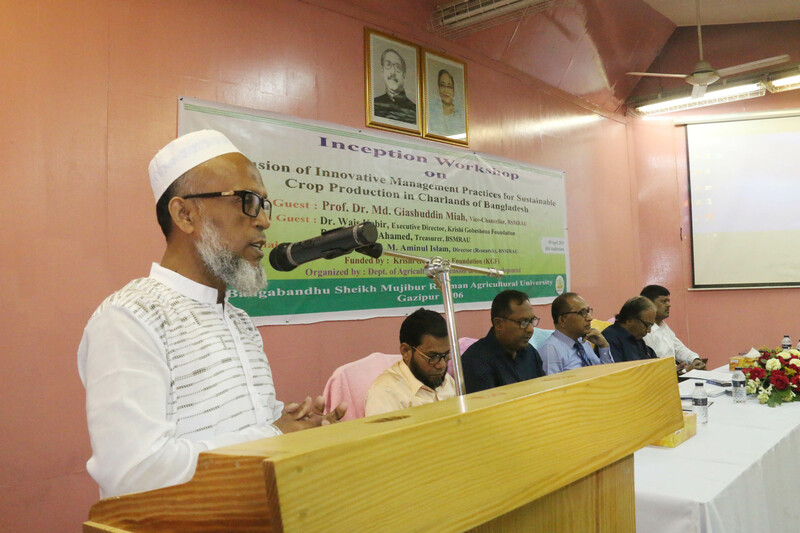 While Prof. Dr. G. K. M. Mustafizur Rahman of Soil Department presented the key note paper and Prof. Dr. Safiul Islam Afrad Department of Agricultural Extension & Rural Development also delivered the welcome address. Director General of NATA, scientist from BARI, BRRI, DAE, KGF including faculty members, students of BSMRAU and farmers of SariakandiUpazila, Bogura were present at that time. 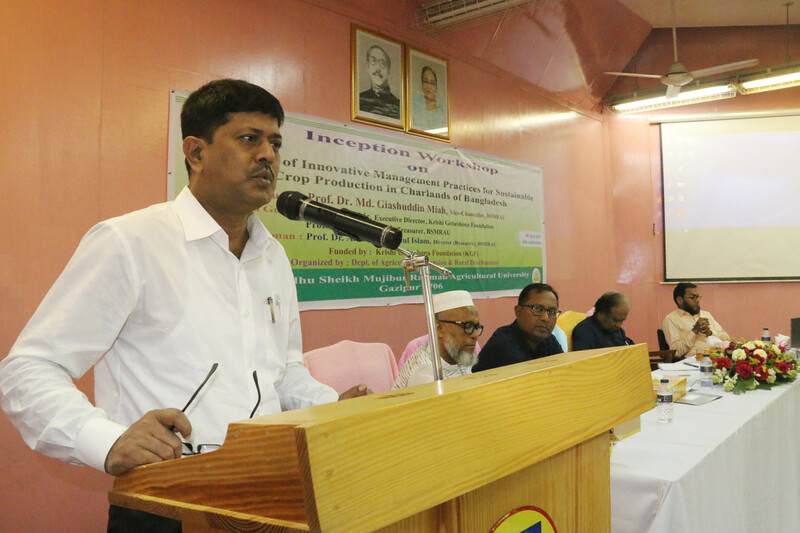 The workshop was organized by the department of Agricultural Extension & Rural Development, BSMRAU.